Commerce Presbyterian Church is a family of believers committed to following Christ and proclaiming God's love to a broken and sinful world. We recognize Christ's authority and measure our actions by Christ's example. Accepting the unconditional love of God as demonstrated through Jesus Christ, we dedicate ourselves as disciples of Christ by worshiping together, praying, studying God's Word, and sharing God's love through mission, witness and stewardship. Adult Choir Rehearsal 9:00 a.m.
Sunday School - 9:45 a.m. to 10:30 a.m.
Fellowship - 10:30 a.m. - 10:45 a.m. The church is located at 89 Lakeview Drive, Commerce, Georgia. Our building is located in the triangle between University Drive and Lakeview Drive on Jefferson Road (Ga. Hwy. 15). For more information, call 706-335-3282. Take I-85 to Exit 147 - Commerce/Maysville. Upon exiting, turn right onto Ga. 98. Go approximately 4 miles to the second traffic light. Turn right onto Jefferson Highway (Ga. 15) The church is approximately 1/2 mile on the left. Take Hwy. 441 North from Athens. At the first railroad crossing and traffic light in Commerce, turn left onto South Elm Street. Following South Elm parallel to the railroad tracks, continue through downtown Commerce to the second light, turn left over railroad tracks. The church is approximately 1/2 mile on the left. Rev. Jeffrey A. Cain, Sr.
Jeff and his wife, Trina, have two children, Jeffrey, Jr., ("Bo") and Ella Grace. Trina is employed with Marathon Health as Clinic Director, and with Chico's FAS of Winder. Bo is a graduate of The Citadel in Charleston, S.C and Ella Grace is a student at Lanier Technical College. Reverend Cain has a Masters of Divinity Degree from Columbia Seminary in Decatur, Georgia; a Masters of Public Administration as well as a Bachelor of Science in Health and Physical Education from UGA. He is a graduate of the 181st Session of the FBI National Academy and is retired from United States Air Force after serving 33 years with the rank of Chief Master Sergeant. Before moving to Commerce, he was the Pastoral Care Assistant at First Presbyterian Church in Marietta, Georgia. 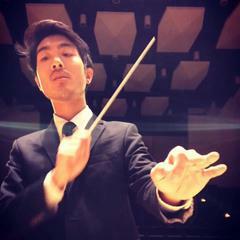 Justin Han is currently a Master of Music candidate in Choral Conducting and Piano Performance at Georgia State University. He received bachelor degrees in Music Education and Biology at the University of Georgia. His major teachers include Dr. Deanna Joseph (conducting), Dr. Raffi Besalyan (piano), and Dr. Jens Korndoerfer (organ). Mr. Han has received a number of scholarships and awards which include the Robert Shaw Choral Scholar Award, Award of Excellence from the GMTA Upper College Piano Auditions, Despy Karlas Piano Award, Director's Excellence Award, Hugh Hodgson School of Music Performance Scholarship, and HOPE Scholarship. Mr. Han's musical involvements are very diverse: he directed the Atlanta Homeward Choir (a homeless choir) and Classic City Jazz (a vocal jazz ensemble), sang with the UGA Accidentals (an all-male a cappella group), sang with GSU's University Singers and UGA's Hodgson Singers, played violin in the UGA Philharmonia, and student taught at Lanier High School. Before joining the staff of Commerce Presbyterian, Mr. Han was a music associate/accompanist at Greensboro First United Methodist Church and the choir director/accompanist at Our Hope Metropolitan Community Church. He is currently a graduate assistant at Georgia State University and a piano teacher at Piano Alpharetta.